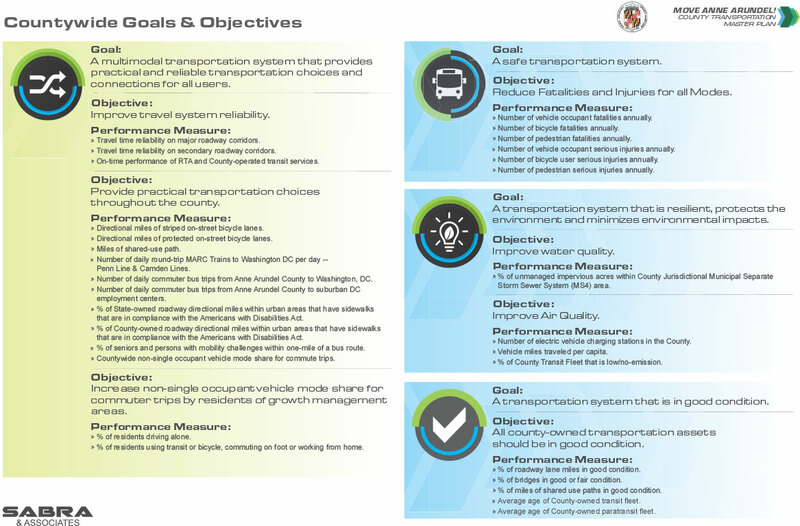 The Transportation Functional Master Plan will integrate 5 component studies and recommend improvements to the County’s transportation network to enhance mobility and accessibility within local and state fiscal constraints. The goal of the TFMP shall be to Identify * Analyze * Understand the relationship between land use patterns and the mobility and accessibility constraints and opportunities within the County. The final product of this effort shall be a logical, cohesive and comprehensive assessment of multimodal transportation issues, opportunities and recommendations in Anne Arundel County that can be programmed to the year 2045.